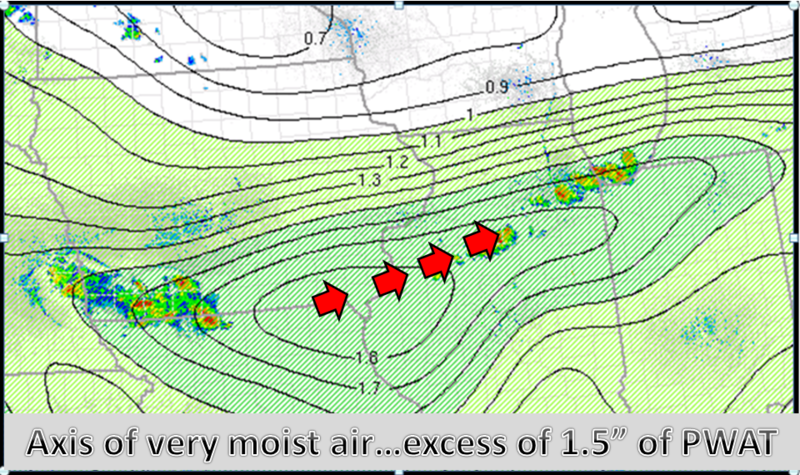 During the late afternoon and early evening of June 10, multiple storms produced large hail and very heavy rainfall along the I-80 corridor, including across the far southern and southwestern Chicago suburbs. For a listing of rainfall totals, visit here. 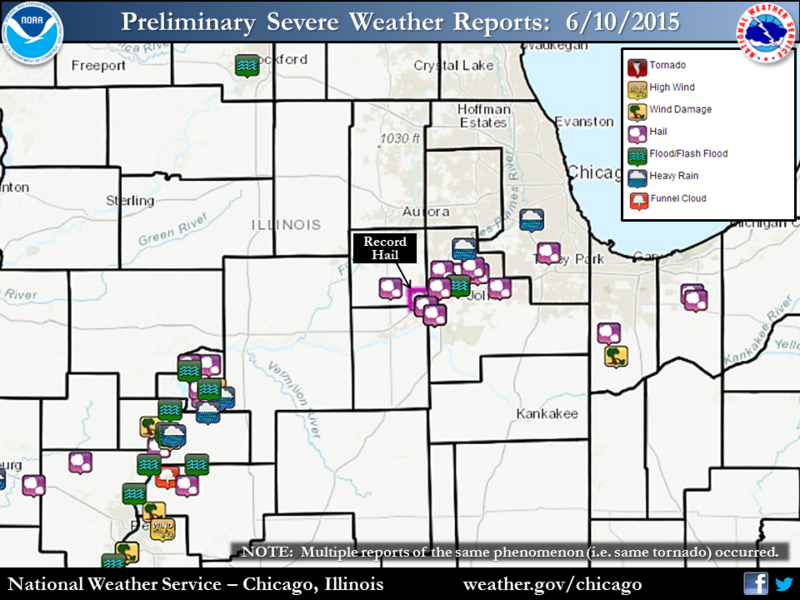 The largest hail reported was measured at 4.75", two miles north-northwest of Minooka around 7:20 pm. 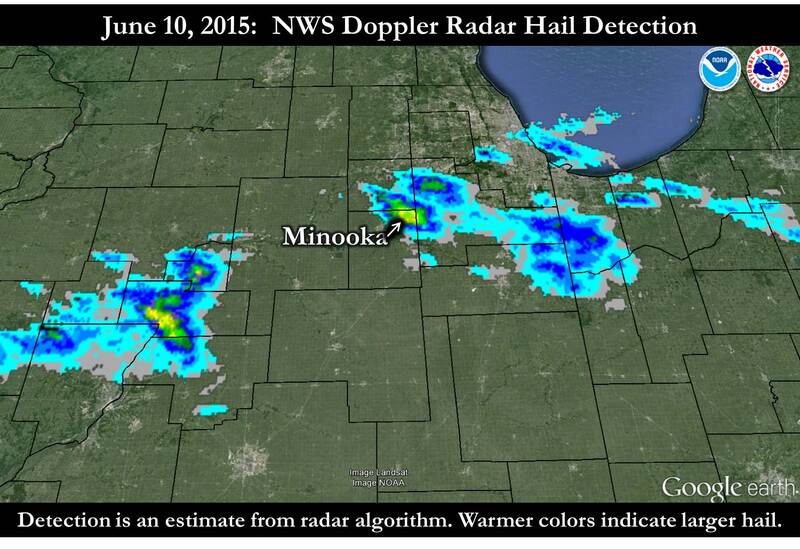 There were many reports of 2.5" diameter hail and larger across Minooka. Severe vehicle damage was noted from within this area. 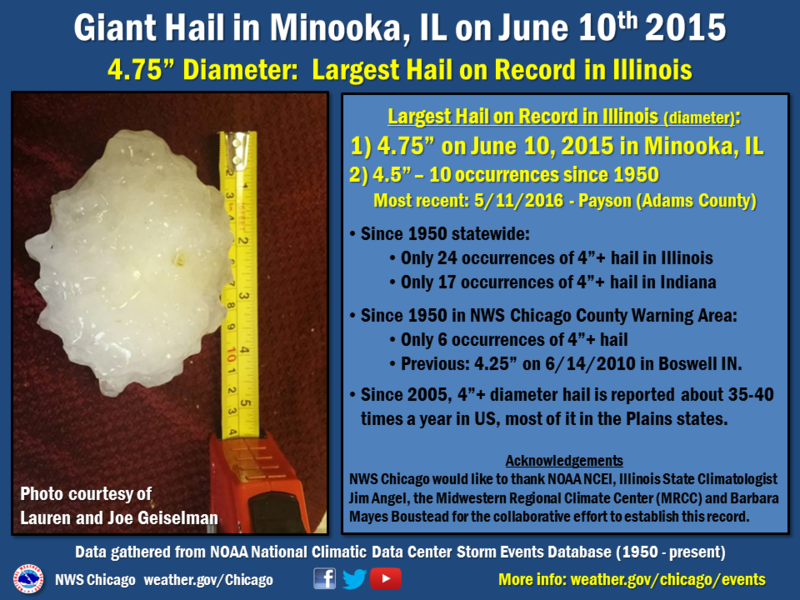 The 4.75" diameter hail collected two miles north-northwest of Minooka, or about 45 miles southwest of Chicago, and stands as the largest documented hail stone able to be verified in Illinois on record. See report here. A Severe Thunderstorm Warning was in effect for that area, including Minooka, issued at 7:05 pm. The Illinois state record for hail was set on June 10, 2015 as determined by the State Climate Extremes Committee (SCEC). Members included from NCEI, the Midwestern Regional Climate Center, Illinois State Climatologist, NWS Central Region Headquarters, and NWS Chicago. 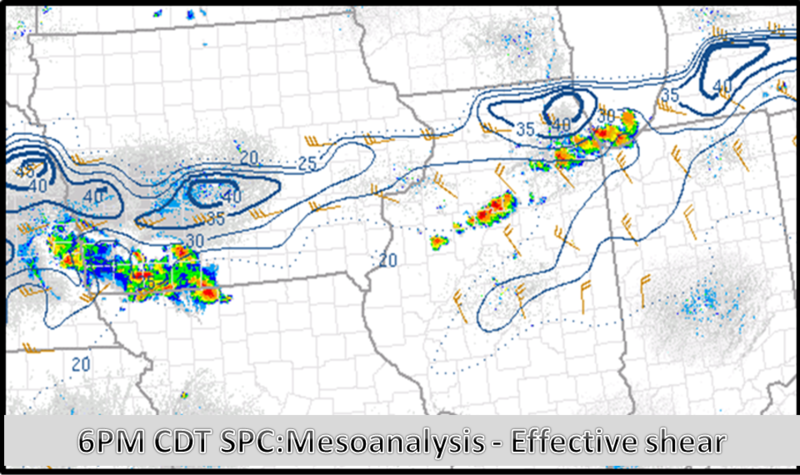 The National Weather Service received many photos of the large hail on June 10 and these visual reports assisted us with warning messages to better stress the dangerous nature of the storms, as well as verification efforts after. Thank you! It is important to remember that severe storms are dangerous, and hail to the size of this day can easily injure and even be deadly. While photos may be beneficial to us, ensure safety first and foremost. It is absolutely fine if the hail pictures have to wait to after the storm has ended, because after all, hail of this size will take quite a while to melt! 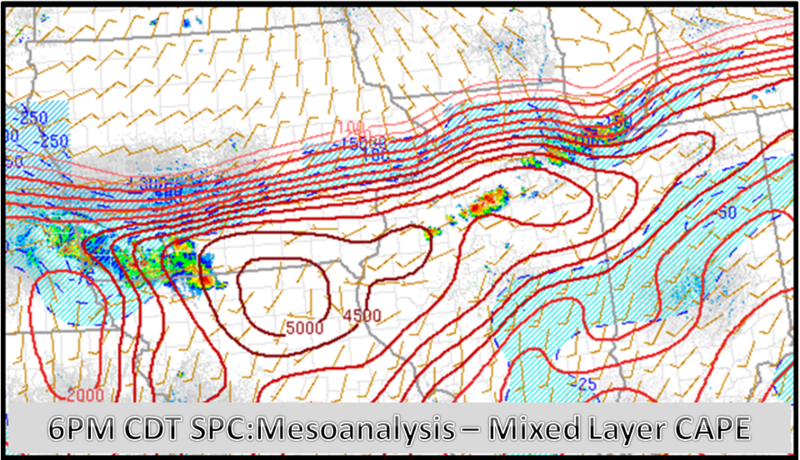 A reminder that the best place to be in severe storms is inside and central in a sturdy structure, away from windows, and putting as many walls between you and the severe storm as possible. 3D perspective of record hail storm, with white circle indicating location of record hail (2NNW of Minooka, IL).